After decades of debates and lobbying, world started recognizing the future of cricket as a sport. We witnessed outstanding players and their marvellous contributions to cricket. Legends and legendary matches are not a dream anymore. All players have acquired a unique style of game whichever country they belong. Thus if we are on a mission to line up a perfect ODI XI, we find it very difficult as there are amazingly more than 11 players that come to the queue. A perfect team is made when batting, bowling, wicket keeping, captaincy, understanding between players and a perfect play strategy work out at the same time. A proper game plan would enable them to marshall their resources better.. It is a challenge to list out 11 players that can possibly be a complete team from different nations. Being the legend of modern cricket world with notable match winning ability and lethal innings across all formats make him the number one batsman plus a great captain. His strokeplays behind wicketkeeper and slips are noted. He can take various positions in upper and lower order. He is a splendid fielder and enviable wicket keeper. South Africa got many historic wins by this legend’s presence. He knows to make proper decisions during the match which is an important part of the game. The talent of Virat Kohli is beyond any doubt. He is regarded as the best batsman of the country. This “ODI specialist” can take up the middle order easily. Various records created by Kohli in cricket history is taken to consideration. He has got strong technical skills in batting. He is a sharp fielder indeed. 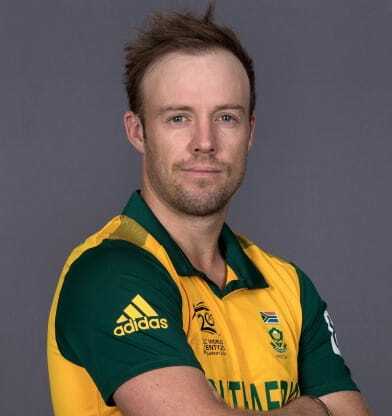 Regardless of his attitude and aggressive behaviour, he can take vice captaincy well and is the best option to be added in the perfect ODI XI list. This man can take up the opening batting spot. He is regarded as the best wicketkeeper batsman in the world. His handy glovework and fearless striking is quite impressive. An allrounder to the list. He plays primarily as a batsman and could bowl right arm leg spin. He can take the 3rd batting order. He is mastered with unconventional cricket shots like reverse sweep. He is an occasional bowler. Smith’s athletism and instinct stands out , even in a high quality fielding side like Australia. He is a right handed batsman and occasional off-spinner. He is ambidextrous and a hard competitor. He is an outstanding catcher and is highly praised for his tactics that help the team to adapt to slow, turning pitches. His batting talent can be witnessed when he takes the middle order. He fields predominantly at second slip or gully. He has an offbreak bowling style. His crispness of stroke and shrewd judgement enabled him to bat purposefully around greater weight of shot. He is an outstanding player with extraordinary potential. Brian Lara’s cousin brother has a wonderful talent in imitating masters of cricket and pull it off to the next level perfectly. He is a left hand batsman with the same walk, the same backlift, the same flourish, same footwork and the same mannerisms of the legend Brian Lara. He can take the 4th or 5th batting line up for his shots. He is a middle order batting allrounder and the best finisher. His compact batting technique and consistent medium pace bowling make him stand out among others. The team can definitely hang many hopes on this player. He is capable of adapting to different conditions. As a bowler he usually operates in the middle overs , striving to squeeze the opposition with his nippy cutters although, he is no stranger towards shouldering the new ball. He is a left arm fast bowler and a great bowling opener. He impressively shows whippy pace and swing. He bowls with great accuracy, pace and courage. He has the potential to make up to the perfect ODI XI as a bowler. This left arm fast bowler has taken the most wickets(13) in a debut one day international series. He achieved success by bowling off cutters which was delivered as a spinner does but with the added ability of making it carry to the wicketkeeper standing back. He is a leg spinner. He also has potential with the bat. He started playing international cricket at a very young age of 18. There you have it folks? Who would be on your Dream11 team? Thomas is a sports writer who specialises in betting previews. He is a passionate cricket blogger by heart. VIJAY HAZARE TROPHY – QUARTER FINALS – ALL TEAMS LIST!